The U.S. Department of Defense has cleared BlackBerry 10 smartphones and PlayBook tablets for use on its networks, amid reports that the department may also clear devices from Samsung Electronics and Apple. The department has approved BlackBerry 10 smartphones and PlayBook tablets with its enterprise mobility management platform BlackBerry Enterprise Service 10 to be used on its networks, BlackBerry said Thursday. After testing through DoD labs, the devices have been listed in the Defense Information Systems Agency’s Unified Communications Approved Product List. DISA, which manages the information infrastructure for defense, certifies commercial technology for defense use. The company, formerly known as Research In Motion, had announced in November that its BlackBerry 10 platform was FIPS 140-2 certified. FIPS (Federal Information Processing Standard) security certification would enable government agencies to deploy BlackBerry 10 smartphones and BlackBerry Enterprise Service 10, it said. BlackBerry said in March it shipped about 1 million BlackBerry Z10 smartphones during its fiscal fourth quarter which ended March 2. The Z10 is the first BlackBerry 10 OS device. BlackBerry shipped a total of 6 million smartphones in the quarter, the company said as it released its quarterly earnings. The current approval from the department covers the BlackBerry Z10 and Q10 smartphones and PlayBook tablets on DoD networks, which will likely give a boost to sales of these devices, which the company is counting on to revive its business. The Q10 is already available in the U.K. and Canada, but not yet in the U.S. The DoD, however, expects to give security approvals in the coming weeks for Samsung’s Galaxy smartphones and iPhones and iPads running Apple’s latest operating system, The Wall Street Journal reported this week. 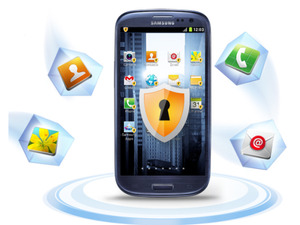 The department has already cleared Samsung’s Knox, a new Android-based platform designed by the company to enhance security of the current open source Android, according to reports Thursday quoting a Pentagon spokesman. The DoD could not be immediately reached for comment.